Your inner handyman will definitely awaken this season. And the time to unleash your buying power is almost near. But I’m sorry to break this to you, Black Friday deals are even more powerful than ever. Finally, you can get the power tool that’s been on your wishlist forever. Relish in rock bottom prices, big savings, and crazy doorbusters. Most stores would start with their Black Friday store bonanza in the early morning when you have barely digested that Thanksgiving turkey. Score unbelievable deals on the busiest shopping day of the year with DIY staples such as hammer drill, pressure washer, and so much more, from these power-driven brands. DeWalt’s signature black and yellow design is synonymous with high quality tools for home improvement and commercial use. This brand was made famous when its founder Raymond Dewalt invented the radial arm saw, which was later sold to Black & Decker in 1960. With discounts that could go up to 40% off, don’t miss getting your own DeWalt DCD771C2 cordless compact drill. Or take the DeWalt DCK299D1T1 combo kit that will even add more bang to your buck. And while you’re at it, score a DEWALT DWE7480XA table saw with stand, which includes a dust port that hooks up to your vacuum for easy cleaning. When you think of power drills, Bosch easily comes to mind. And for good reason, it is a leading electronics and engineering brand from Germany. No wonder many home builders have relied on its wide range of products that helped shape many construction marvels around the world. Use your Black Friday deal by getting yourself a Bosch Freak cordless impact driver, or a Bosch CCS180-B14 circular saw kit which makes sawing through 2-inch thickness look like nothing. You shouldn’t pass up on Bosch 18V EC Brushless Angle Grinder that packs a lot of punch with its 11,000 RPM from the 7.5 amp motor. Ryobi power tools are affordable options that are popular among building enthusiasts and even professional builders. It has expanded its product line which provides a compelling reason for DIY aficionados to consider this brand when buying tools for their projects. Get a Ryobi ZRP214 hammer drill at an even cheaper price or pick Ryobi P222 rotary hammer for tougher jobs. Acquire the whole Ryobi P883 contractor’s kit to complete your home building collection for a jaw-droppingly low cost. Don’t stop there and consider getting the Ryobi P320 as well, which will fire up your nailing job using a single charge. 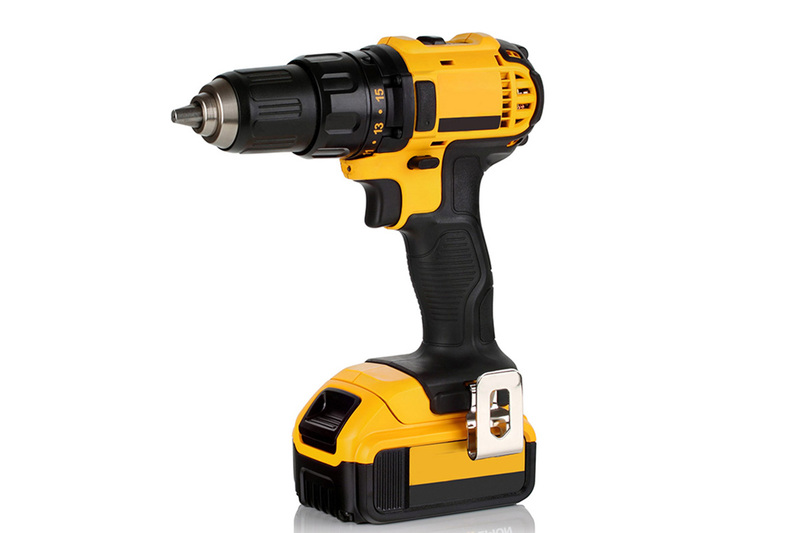 A subsidiary of Stanley Black and Decker, this brand dominates the market of power tools worldwide and has obviously gained the trust of many builders. Black and Decker is credited for its invention of the portable drill in the early 20th century and has obtained a patent for the handheld version. Grab your Black Friday markdowns on a Black & Decker BDCD220CS drill and circular saw kit or a Black & Decker 4-tool combo kit, which includes a mouse sander and an LED light. Also perfect for weekend DIY warriors, the Black & Decker LDX20WPK2B has 56 home decorating and repair pieces all packed in one neat set. Headquartered in Japan, Makita power tools are a combination of Japanese innovation and durability. Makita is a worthy rival of Dewalt much like the competition between Toyota and Chevrolet. As such, this global corporation is a strong force to be reckoned with. Lucky for you, you will find many Makita deals this coming Black Friday. Take advantage of having a Makita XT269M Lithium-Ion Brushless Cordless 2-Pc. Combo Kit. Or save more than 50% with Makita XT706 which has a warranty of 3 years. For those quick home drilling projects, score a Makita HR2631F which is engineered to have less vibration when in use. Milwaukee tools have been in the industry of manufacturing drills, hand saws, etc. since 1924. Founded in Brookfield, Wisconsin, Milwaukee came out with the first of its kind one-handed drill that is both portable and lightweight. It is now a brand of Techtronic Industries, which is also the company behind household names such as Hoover. Milwaukee 2724-20 Brushless blower will blow your mind with its amazing Black Friday price. You can save even up to 50% with a Milwaukee 48-59-1200P M18 high output starter kit which will give you maximum performance. Milwaukee 2731-20 M18 Circular saw is lightweight yet gets the job done. Another subsidiary of Stanley Black & Decker, Inc., Craftsman has a wide range of quality products, from portable power tools to gardening equipment. In fact, Popular Mechanics readers voted it as their favorite hand tool brand in 2009. In addition, most of their hand tools have a lifetime warranty while their power tools have theirs for one year. Craftsman power tools will be included among discount Black Friday sales starting with their 6-piece kit that’s cordless. You can also get a great deal with a Craftsman 30285 drill and driver combo. More than 70% discount applies to their Torx Bit Socket Wrench set. One of the longest players in the home improvement tool industry, Stanley has been seen on many tool sheds across the world. It was merged with Black & Decker in 2010. To date, it has manufactured millions of saws, hand planes, and other industrial tools. Stanley is also known for their innovative Stanley Knife among several others. Maybe you’d like to get their Black Friday deals on their Stanley TRE550Z staple and nail gun. The Stanley Homeowner’s DIY kit will make you want to start your own fixes even if you have 2 left thumbs. Throw in the Stanley 20-600 Clamping box with saw to complete your collection. Rockwell offers a power tool line that is heavily used in professional construction, auto repair and woodwork. They have cordless and corded power tools, many of which come with unlimited free batteries. Rockwell also has a budget-line called ShopSeries catered to penny-pinchers. Thanks to the annual Black Friday season, you can enjoy even more discounts with Rockwell products. Rockwell RK5151K 12-piece kit has sturdy oscillating tools that are willing to take on all the hard work. Rockwell RK3440K Versacut 4.0 could be the compact circular saw you need. Or the Rockwell RK7866 ShopSeries belt disc sander, which is capable of heavy-duty sanding. The first portable belt sander was pioneered by Porter-Cable in 1926. For more than 100 years, it has released a huge selection of corded power tools, compressors, pneumatic devices that are used for private and commercial properties. Porter-Cable became a subsidiary of Stanley Black & Decker when it was purchased in 2004 by then Black & Decker. Get a hold of these Porter-Cable deals this coming season such as the C2002 Oil-Free UMC Pancake Compressor. The 690LR Fixed-Base Router is also pegged at a lower price. Don’t forget the lightweight Porter-Cable US58 pneumatic stapler for those upholstery jobs you can do on the fly. Kobalt is Lowe’s tool line which consists of power tools, hand tools, mechanic tools, and storage. It was set up to rival the power tool brands of home retail giants Home Depot and Sears. Kobalt is fighting neck and neck with other market leaders when it came out with its own brushless power tools at a lower price point. Kobalt 24V MAX Brushless Combo Kit maybe deserves to get in your Black Friday power tool list, which provides high quality drilling action to your building activities. You can also consider adding a Kobalt air hammer or a Kobalt 24-volt Max 4-in Cordless Circular Saw to your growing Kobalt arsenal. Power tools are just some of the many business segments that Hitachi operates, being a highly-diversified conglomerate. Hitachi Koki USA creates some of the most reliable power tools such as saws, hammers, and drills you can find in the market today. This could be more than a good time for you to include Hitachi products in your treasure trove of power tools with remarkably low Black Friday prices. Hitachi C10FCG Miter saw is one, while a Hitachi NT50AE2 brad nailer could be another consideration. Perhaps you’ll need a new Hitachi D10VH2 drill so you can resume your pending DIY job at home. Dremel was founded in 1932 and currently under the Robert Bosch Tool Corporation. It is a brand that continues to develop high-speed rotary tools as well as oscillating devices that are useful for various applications. As such, it is arguably the best in the rotary tool category. Enjoy Black Friday bargains with a Dremel VC60-01 remodeling tool kit geared towards bigger cutting jobs that ordinary oscillating tools can’t handle. On the other hand, a cordless Dremel 8220 rotary tool is your answer for even more demanding applications. You can also be further amazed by a Dremel 220-01 Rotary Tool Workstation with its lower price. Known for its line of premium plumbing tools, the Ridge Tool Company also offers power tools made by Techtronic Industries under the Ridgid branding. With its product expansion, their Ridgid power tools also carry the same outstanding quality as their industry-leading plumbing pipes and wrenches. Claim your season deals by investing in Ridgid’s GEN5X 18-Volt cordless drill kit or a R9600 impact driver for your home improvement plans. It comes with a radio with this package Ridgid 18-Volt X4. And another Ridgid product worthy of your attention is the volt X4 Cordless Circular Saw Console that includes a grip light and a blower port. Have you decided which ones will graduate from your wishlist to your Black Friday shopping list? With the abovementioned great power tool buys you can make this holiday season, you will surely get that much coveted value for money. These power tools are things that you have either been saving up for or you were just waiting for a Black Friday promotion. That time is almost here and they’re yours for the taking. You can still save up leading to that big shopping event. Remember, the deals I have generously researched for you may still be leveled up by retailers in the coming days.